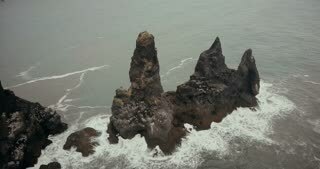 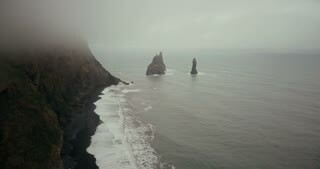 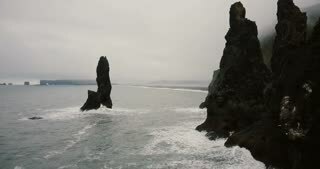 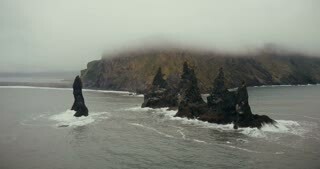 Copter turning around the troll toes cliffs on the sea in Iceland. 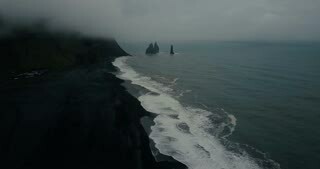 Beautiful black volcanic beach and mountain in fog. 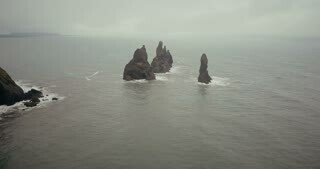 Aerial view of the troll toes mountain in the water in Iceland. 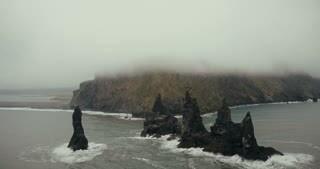 Copter flying around the cliff in sea in foggy day. 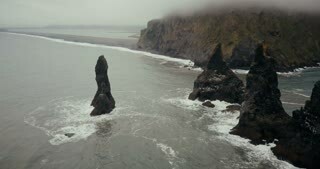 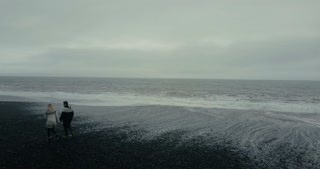 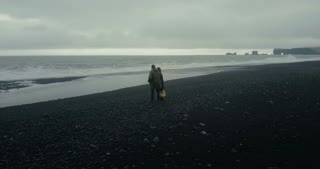 Back aerial view of the young hipster couple running on the black volcanic beach near the troll toes in Iceland.